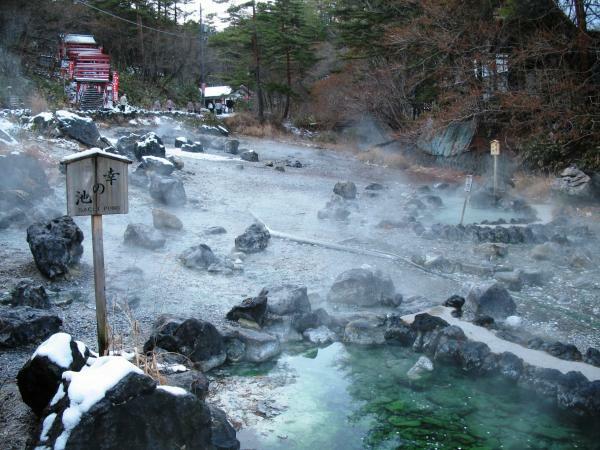 The Nagatoro Funadama Festival held annually on the Arakawa River in the Chichibu area of Japan in Saitama prefecture is but one example among many, of ancient river or water expulsion practices still practised today in Japan. The Nagatoro Fireworks festival is held right beside the river, preceded by sending off a boat lit up with lights. The festival takes place during the Bon period, to honor the spirits of the dead that visit the realm of the living during this period. After dark, boats decorated with paper lanterns and about 1,000 individual lanterns are floated on the waters of the Arakawa River to pray for the repose of drowned persons, creating an otherworldly atmosphere. Click here to watch a video clip of the event or read more about the Festival for the Dead here. River rituals involving human sacrifices to river deities were prevalent on the Chinese continent in the Shang, Zhou and Warring States eras and are believed to have been imported by Chinese immigrants into Japan over the long periods of time. The Korean kingdoms too had numerous river and water deities to whom the people tried to appease through their offerings. In Japan, offerings of pottery at river sites had also been made since prehistoric or proto-historic times by local communities, excavated finds by archaeologists indicate the purification ritual practice began at least as early as the Kofun era (large quantities of miniature earthern pots were found from the river area of the Mizokui site, Ibaraki city, Osaka; one of them with a face etched onto the pottery). 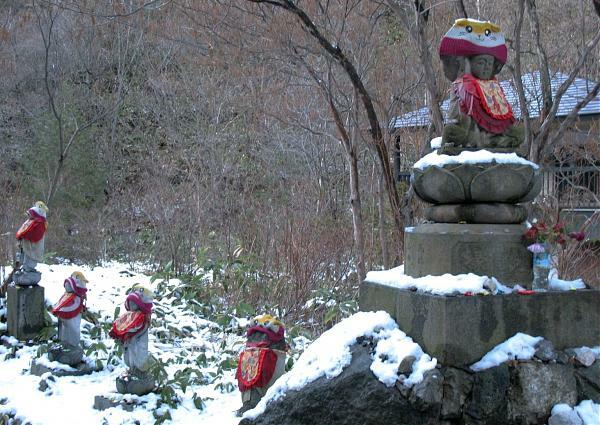 Some scholars believe that the use of effigies in Nara period river rituals in particular is associated with ancient Chinese witchcraft techniques may go back to the Han dynasty or even earlier as outlined in Chi Songzi zhangli (赤松子章曆 an important Taoist text and ritual compilation) were later introduced into Japan. Shinto practitioners and experts in Japan today trace the various rites which go by the name of harae (or o-harae) to the Kojiki myth of the act of washing in the sea which Izanagi-no-kami performed after his return from Yomi, the land of the dead (to which he had followed his wife Izanami) in order to purify himself from the uncleanness and polluting elements he had come into contact with there. In its earliest form of the custom, the ritual offerings made were a fine or penalty imposed upon those who had committed offences or in contracted pollution, under which term all crimes and sins were at first included. The ritual offerings sometimes took the form of human, animal or other food sacrifices, as well as other items of value. In the Nara period the practice was declared to be barbaric, so substitutive pottery, human or animal effigies, and coin offerings became the norm. Until the Nara period, o-harae ablution events were performed at various irregular times and as the need arose, but from the Nara period onwards, o-harae became regular bi-annual court and shrine events as carried over till today. The “Great Purification” came to be held regularly on the 30th June and 31st December. This was because the mid-ninth century, the Nara court in adopting Chinese Tang dynasty style of court etiquette and government, had established an official bureau of yin-yang geomancy masters who went to work institutionalizing and regulating the expulsion rituals and the management of pollution taboos. Excavated from the Kannonji site, which were once old riverbeds of a branch of the Yoshino River during the Nara period, were large numbers of artifacts, including pottery and wooden boat effigies and other implements. Also among the artifacts are thin boards shaped into a human outline, and faces drawn in ink. One board is split down the center, broken into upper and lower halves has realistically painted thick eyebrows, and the beard and moustache. Together with the boat effigies made of wood, they are thought to have been used in a harae rite. Pottery with faces painted in black ink have been excavated from the Mizutare archaeological site of Nagaoka Palace in Kyoto Prefecture. 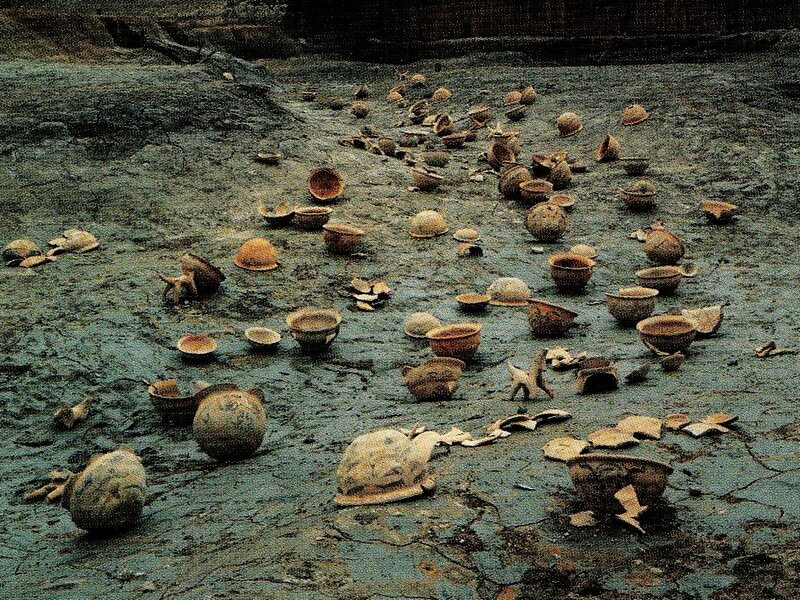 Archaeologists have also found fragments of earthenware jars that had been tossed into a dried-up riverbed of a tributary of the Yamatogawa River (in today’s Yao city, Osaka) in a ritual to bring salvation and ward off illness. Distinctive faces had been painted in black ink on the small pottery jars. Along with the pottery jars, seven types of coins were discovered, along with Kocho-Junisen copper coins from the Nara (710-784) period (as well as Kangen-Taiho coins minted in the 958 which suggests the practice continued through the early Heian (794-1185) period). Below is an excerpt from the Encyclopedia of Religionthat particularly illuminating on the widespread, and it is contended here, connected ideas and cosmology behind the “river of Death” in various ancient cultures, including Japan’s.”RIVERS OF DEATH. Crossing the river at the time of death, as part of the journey to another world, is a common part of the symbolic passage that people have seen as part of one’s journey after death. In the Epic of Gilgamesh, the hero encounters a boatman who ferries him across the waters of death as he seeks the secret of immortality. The river Styx of Greek mythology is well known as the chief river of Hades, said to flow nine times around its borders. Styx is married to the Titan Pallas and according to Hesiod counts as her children Rivalry, Victory, Power, and Force. The power of the Styx is evidenced in the fact that Achilles gained his invulnerability by being dipped in the river as a baby held by his heel, the only part of his body thereafter vulnerable to mortal wounds. In addition, the most inviolable oath of the gods is sworn with a jug of water from the Styx, poured out while the oath is being uttered. In Hindu mythology, the river Vaitaran: marks the boundary between the living and the dead; in the Aztec journey, the river Mictlan must be crossed on the way to the underworld; in Japan, rivers are part of certain landscapes designated as realms of the dead in both the Shinto¯ and Buddhist traditions. The Sanzunokawa, for example, is said to divide the realms of the living and the dead. The dry riverbed of Sainokawara is said to be the destination of dead children. I would like to ask for the name of the author and how could we quate from this very interesting article. Thank you!